VATICAN CITY (CNS) — The family is the answer to the two extremes facing the world — fragmentation and “homogenization,” in which everything is forced to be the same, Pope Francis said. 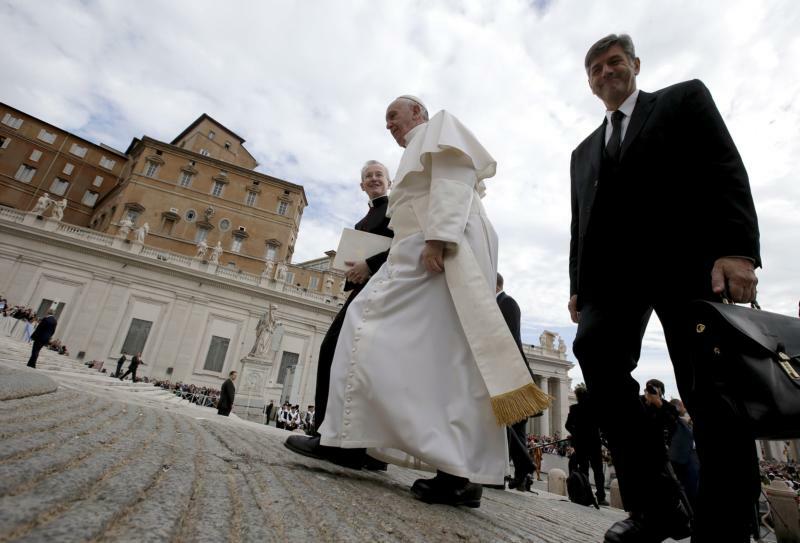 The family based on marriage between a man and a woman is the answer because “it is the cell of a society that balances the personal and communal,” he said at his general audience Sept. 30 in St. Peter’s Square. The family also can be “the model of a sustainable management of goods and the resources of creation” against today’s culture of consumerism, he added. The pope dedicated his audience talk to reviewing his Sept. 19-27 trip to Cuba and the United States, where he visited Washington, New York, the United Nations and Philadelphia for the World Meeting of Families. He thanked Cuban President Raul Castro, U.S. President Barack Obama and U.N. Secretary-General Ban Ki-moon for their warm welcomes and extended his thanks to all the bishops and everyone who worked to make the trip possible. The pope made special mention of Archbishop Charles J. Chaput of Philadelphia “for his commitment, piety, enthusiasm and his great love for the family,” which were seen in his work organizing the main focus of the pope’s trip — the World Meeting of Families. “Now these same roots are asking that we begin again from the family in order to rethink and change the model of development for the good of the whole human family,” he said. The pope said the family, which is “the fruitful covenant between a man and a woman,” is the answer to the great challenges of our world. The family can play a major role in a sustainable, “integral ecology,” he said. The human couple, “united and fertile, placed by God in the world’s garden in order to cultivate it and safeguard it,” displays the two fundamental principles human civilization is based upon — communion and fruitfulness, he said. The pope said that during his trip to Cuba, he was able to share the people’s hope in fulfilling St. John Paul II’s dream that “Cuba open up to the world and the world open up to Cuba. No more closed doors, no more exploitation of poverty, but freedom in dignity” and responsibly serving and caring for others and the most vulnerable. The religious and moral foundation upon which the United States was founded and built can continue to nurture the nation to be “the land of liberty and welcome, and to cooperate for a world that is more just and fraternal,” he said.